With five different bale dimensions and product features that ensure excellent bale shape and perfect density, New Holland has the answer to every farmer’s or contractor’s specific working needs. New Holland thinks the way they do, because New Holland has the spirit of a great team of specialists. One in every three big baler owners world-wide trusts New Holland and the field performance of our products. 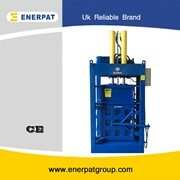 The introduction of the BB-A models with their new features can only further increase productivity. The precision built, robust plunger is controlled throughout its entire stroke. With a virtually unobstructed crop flow, each stroke ensures accurately formed wads, resulting in outstanding bale quality particularly when working in combination with the CropCutter system. A load-sensing pin accurately measures plunger loads, which are displayed on the InfoView monitor. 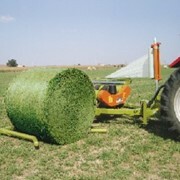 This ensures high quality bale shape and density. 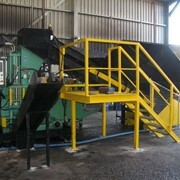 The bale chamber design includes hydraulic three-way density control. The direct measurement of the load on the plunger provides the density you require in any crop. Density is set from the tractor seat using the InfoView monitor. A sixth knotter on the BB960A model reduces string tension, which significantly decreases the risk of reaching the twine's strength limit. This new feature also allows higher bale density setting. The bales produced by New Holland Big Balers can withstand repeated handling and store safely over a long period. An even density spread over the full bale section is assured with the unique pre-compression chamber. Tying reliability, with the double knot system, is first rate as the strain on the twine during bale formation is negligible. Six twines the BB960A model reduce the risk of twine breakage during handling and ensure good bale appearance even during extended storage periods. The quality bales made by New Holland big balers are arguably the best in the industry. The square, well-filled shoulders of these bales contribute to their outstanding appearance and consistency. These bales can withstand repeated handling without deterioration and their optimisation of storage space is an additional bonus. The "W" tine pattern rotor provides excellent crop distribution to the CropCutter. The knives are positioned so that the cutting force is divided equally over the two halves of the rotor, improving cutting efficiency while reducing power requirement and component wear. Additionally the rotor distributes the cut material evenly to the pre-compression chamber. This is yet another advantage of this rotor design. 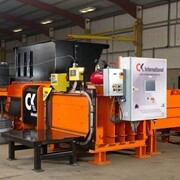 The InfoView monitor provides full control over all baler functions, helping ensure top performance in all circumstances. It allows easy density setting and serves as a versatile control for various commands from inside the cab. 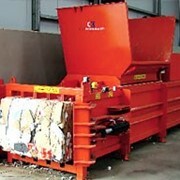 It also provides information on the baler’s performance and output. 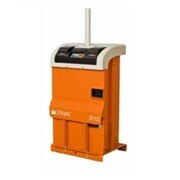 A new compact printer is available to give a clear report of each job.